I just rode 170 miles with two cheap panniers attached to these last week. It was my first real tour but I had no problems at all. Nicely made rear carrier and very light. Narrower width and no solid platform helps with weight reduction and looks good. Lack of solid platform means luggage will have no protection if you do not use mudguards, so a matter of choice. Supplied with fixing bolts but not with any brackets to fix to seat stays if frame does not have fixing points. As above. I looked at the Tortec Ultralite, but it's marginal at 109mm wide., although reviews I have seen on other sites suggest it is now wider. Can you confirm and if not suggest an alternative? I Can confirm that the width of the platform is 110mm in width. If this is not suitable our tortec expedition will do the job well whilst being wider at 125mm. What'S The Width Of The Rack? I'm looking to use this with a Hamax Caress rack-mounted child seat, but it specifies a minimum width of 120mm for the top platform. Is the Ultralight wide enough? If it isn't, could you recommend one that is? Hi this rack is 109mm wide. You could try #23681 which is 126mm wide. Does This Have 50 And 80 Mm Spacing For Rear Light? This rack can indeed take lights with either 50 or 80mm spaced fixings. The original 400g weight listed is for the rack without any fittings, the weight on our scales including all of the supplied fittings is 532g. Will This Rack Take A Rack Pack Safely? For example Vaude Silkroad or Silkroad plus? 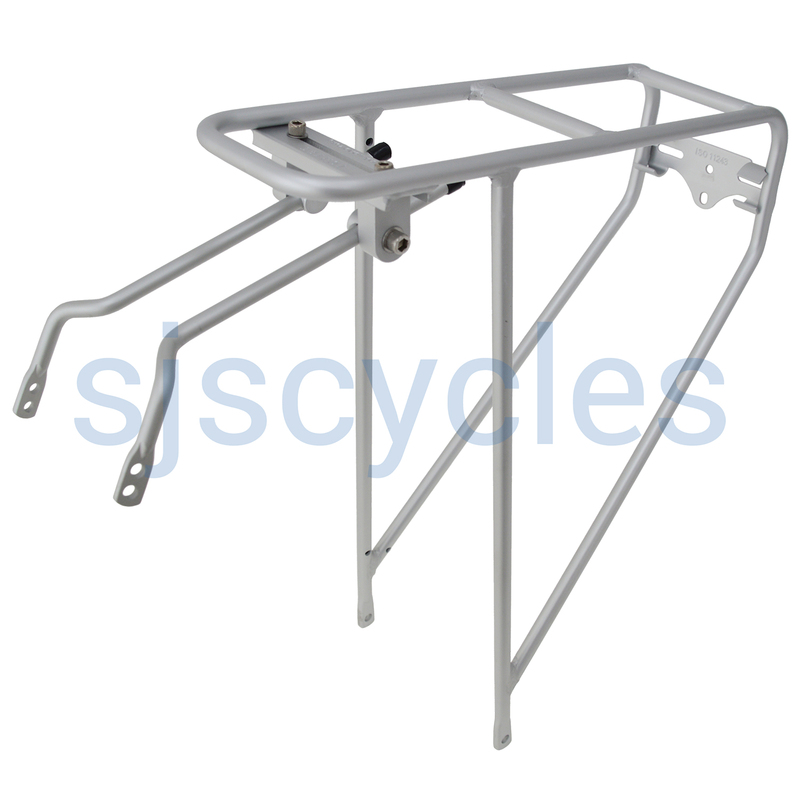 Although you can easily attach a rack top bag to this rack due to the fact the rack is slightly narrower than the bag would mean that as soon as you loaded the bag up it would be unstable. Therefore we would not recommend running a rack top bag with this rack as it would be unsafe.